We had an amazing time at our open house! Many friends stopped by & enjoyed seeing our three story panels & hearing some of the stories that were recorded for our website. You can stop by the Bemus Point Library to view our story panels & hear about the project. If you would like to share your story, please contact the Bemus Point Library at (716) 386-2274. Heart & Soul Showcase Tonight! 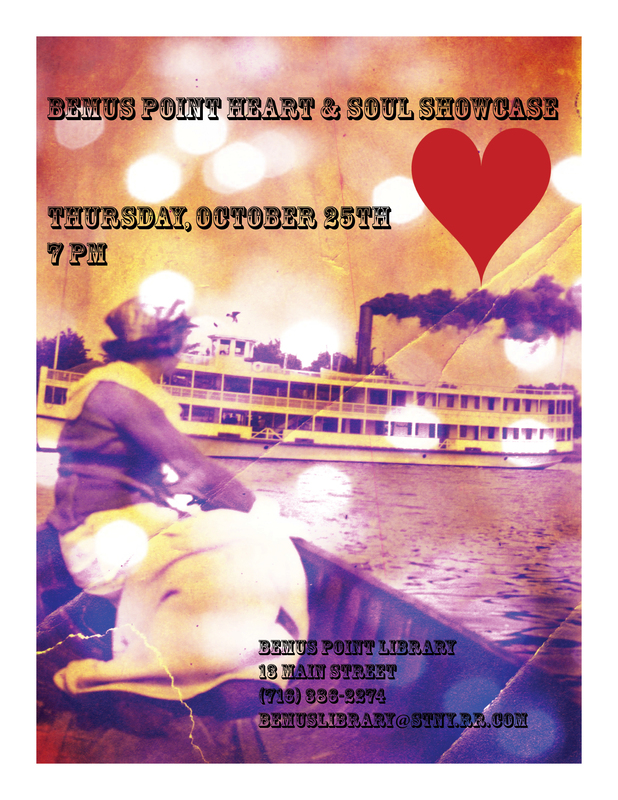 The Bemus Point Heart & Soul showcase is tonight from 7-9 pm at the library. This is a open house. Please stop by to learn about our progress on the project, and view the website and panels that have been created. We will also have yummy cheese from Cadwell’s Cheese House, and wine from Bag & String Wine Merchants. Thank you for your support! A presentation on our new website. 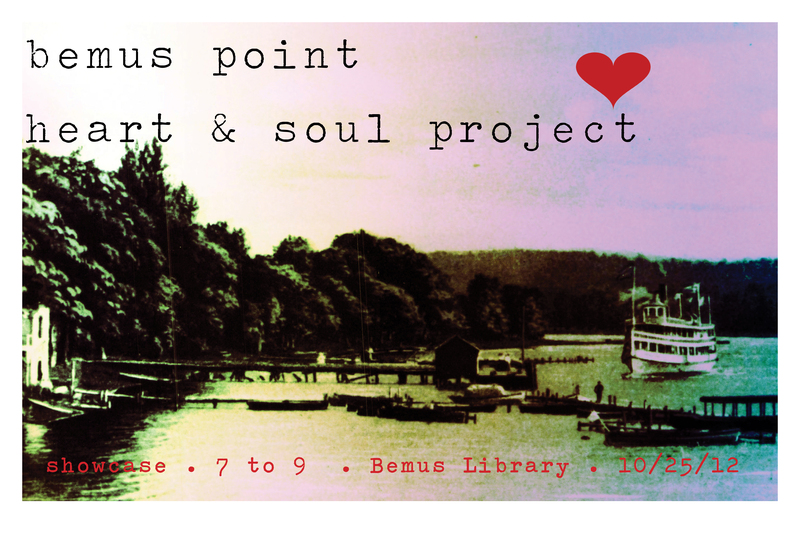 The chance to record or write your own Bemus Point Heart & Soul story. A display of the pictures and panels create from the stories and materials provided by the community. Please join us & bring a friend. If you would like to share your story, please contact the Bemus Point Library at (716) 386-2274. We Want You To Tell A Story! The Bemus Point Heart and Soul Project is looking for storytellers! Bemus Point Heart & Soul is a community building project that weaves stories and multimedia materials to present a picture of the rich history, culture, and identity of the Bemus Point Community. The project, which is sponsored by the Bemus Point library, held a community meeting in June to talk about the project and ask for community contributions and volunteers. Since the initial meeting the project has generated interest in the community, and a number of people have signed up to either record stories or tell a story. The project would like stories about Bemus both past and present. The stories should be heartfelt, short, and reflect a personal connection to the Bemus area. Participates can either record their stories with a volunteer at the Bemus Point library or email/mail a written story for the website. The stories will be used to create five “graphic story boards” that will be displayed around the Bemus Point community. 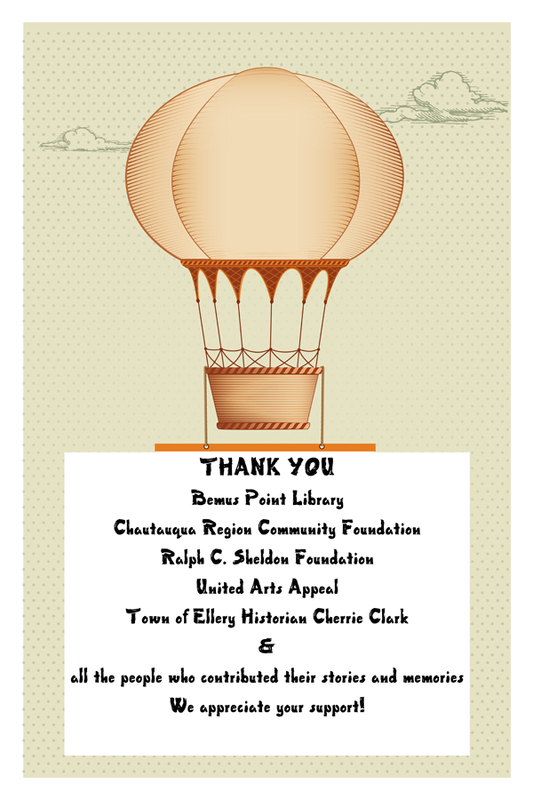 If you have a story to tell or would like more information about the project please contact the Bemus Point library at 716.386.2274 or email bemuslibrary@stny.rr.com. The Bemus Point library is located at 13 Main Street, PO Box 428, Bemus Point, NY 14712. This is a packet of information on how to use our audio recorders. It contains information on what makes a good story, and offers pointers on how to tell a good story. It also provides guidelines for what a story gather should do to make the storyteller comfortable and welcomed. We are looking for storytellers and story gathers, or both! Please contact us if you are interested in participating in our project. Thank you. On Saturday July 21 the Bemus Point Heart & Soul Project will be featured on WJTN’s Time of Your Life radio program. Please tune in at 10:00 am at 1240 am to hear more about our project and progress! Our next “story-gathering” training will be Sunday July 8 at 2:00 pm in the Bemus Point Library. Please come and learn how to be a story recorder and how get involved in this wonderful community project. If you have any questions please call us at 716-386-2274. We look forward to seeing you.